For years we have learned about the importance of physical fitness and healthy eating habits. Today many of us actively join gyms, participate in fitness classes, and endeavour to eat less sugar, less salt and less fat. The physical fitness revolution has taught us to make our health a priority – both for our own well-being and for the well-being of the people we love. However, the area of fitness and well-being that many of us have unknowingly overlooked is our brain fitness. Yes, even our brains need exercise! It’s easy for us to see the value of exercising our abs or our biceps – we build strength, improve flexibility and avoid injuries. Similarly, exercising our memory and attention can help us stay sharp, focused, and feeling our best! In order to achieve whole-body health we all need to add brain exercise and brain fitness programs to our overall health regime. 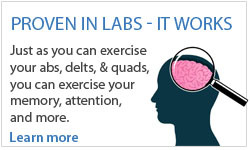 So how exactly do people exercise their brains? Certainly brain games can be fun and helpful. The key, however, is to ensure that whatever form of brain exercises or brain games we choose are supported by science and have been proven clinically to make a difference to overall brain fitness. After all, we all want to see the same thing: results! Much like a new diet or new-fangled exercise equipment, if a brain game or brain exercise has not been proven to actually generate results then most of us wouldn’t want to waste our time. That’s where BrainHQ comes in. 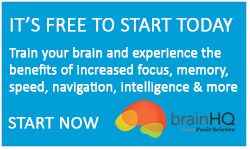 Under the leadership of Dr. Michael Merzenich, a pioneer in brain plasticity and the Chief Scientific Officer of Posit Science, a team of top neuroscientists has collaborated on the creation of the online brain fitness program called BrainHQ. 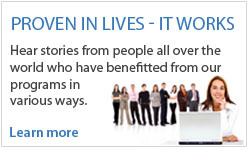 BrainHQ exercises have been clinically proven to work through more than 100 published studies. In fact, top institutions around the world – including the world renowned Mayo Clinic – all support the effectiveness of training through the BrainHQ brain fitness program. Learn about each of our BrainHQ brain training exercises including how the exercises work and their real world benefits. Learn about the scientific design behind our brain training exercises and what makes our brain exercises the best in class. Learn about the global peer-reviewed research, clinical collaborators and the BrainHQ science team that have all contributed to the creation of a world-class brain fitness program uniquely built by neuroscientists with a commitment to scientific advancement. Learn about the clinical trials and published peer-reviewed studies that all demonstrate the proven benefits of the BrainHQ brain-training program for both healthy adults as well as those with specific clinical conditions. Learn about the personal experiences of people from across Canada and around the world who have benefitted from the positive results of our BrainHQ brain fitness program.